Andy Irvine (*14. June 1942, St John's Wood, London, England). Andrew Kennedy Irvine, born to Irish-Scots parents, studied classical guitar before discovering Lonnie Donegan and Woody Guthrie. In 1966 he co-founded Sweeney's Men in Dublin, which he left after an album to head to Eastern Europe. After Andy returned he co-formed Planxty, notable for the intricate bouzouki and mandolin counterpoint of Irvine and Donal Lunny. Andy and Christy Moore were the principal vocalists. After Planxty finally broke up in the early 80s, he recorded a collection of Balkan tunes with piper Davy Spillane, teamed up with fiddler Kevin Burke, guitarist Gerry O'Beirne and accordionist Jackie Daly to form Patrick Street, and headed a multicultural group called Mozaik ft. American fiddler Bruce Molsky and Bulgarian multi-instrumentalist Nikola Parov. Bob Davenport (*31. May 1932, Gateshead, Tyneside, Britain). The renowned English folksinger has been a major voice in the British folk revival. Bob was just 10 months old when he survived a gas explosion which killed his father and destroyed the family home. He started performing traditional songs while he was evacuated to Yorkshire during the Second World War. "I sang one night at a club and someone told me later that practically every song was about leaving, dying or being exiled from your homeland." In the 1950s Bob moved to Camden Town in London where he held folk nights at Irish pubs. He spent the majority of his career with The Rakes, a quartet consisting of Paul Gross (fiddle), Michael Plunkett (fiddle and whistle) and Reg Hall (melodeon). In 2005 he released "Common Stone," a collection of traditional and contemporary folk songs, featuring guests such as Richard and Linda Thompson, Martin Carthy and Norma Waterson, Coope, Boyes and Simpson, and Chumbawamba. Taj Mahal (*17. May 1942, Harlem, New York, USA). Henry Saint Clair Fredericks is an American Grammy Award winning blues musician, who developed an interest in African and older forms of African-American music in his early teens. He discovered the guitar and studied the various styles of Delta and Chicago blues. Taj Mahal, his stage name, came to him in dreams about Gandhi, India, and social tolerance. He did much to reshape the scope of blues music over the course of his career by fusing it with sounds from the Caribbean, Africa and the South Pacific. Isla St Clair (*2. May 1952, Grangemouth, Scotland). Isla’s mother was a song writer and poet and founding member of the Aberdeen Folk Club. The young Isla frequently accompanied her mother to the club where they would both sing. She became exposed to many fine performers of folk music including her mother’s friend Jeannie Robertson, the great traditional ballad singer, and the family's friend Hamish Henderson. She was twelve years old when she sang on her first television programme, soon she was a regular guest on many other television and radio shows. In 1971, St Clair released her first LP Isla St Clair sings Traditional Scottish Songs and she was voted Female Folk Singer of the Year by the New Musical Express. St Clair’s rise to national prominence was in 1978 when she became co-host in BBC Television’s family game show The Generation Game. In 1981, she produced The Song and The Story with Maddy Prior and Rick Kemp as musical associates, which involved dressing up in historical costume and explaining the social history behind folk songs. In 1995, she devised a series called Tatties and Herrin, which told the story of the fishing and farming communities of Scotland’s north east. St Clair was invited to sing the lament Flowers of the Forest in 2007 to commemorate the 90th anniversary of the Battle of Passchendaele, in the First World War. In 2011, St Clair was asked to record Flowers of the Forest again, this time for the Scots Guards album From Helmand to Horse Guards. Isla St Clair continues to be busy on television, radio and stage. Sam Bush (*13. April 1952, Bowling Green, Kentucky, USA). The American mandolin player is considered an originator of the Newgrass style. Sam Bush was exposed to country and bluegrass music at an early age through his father's record collection. In 1970, Bush was inspired by the rock-flavored progressive bluegrass of the New Deal String Band. He joined the Bluegrass Alliance,which eventually became the New Grass Revival. The group went through numerous personnel changes, with Bush remaining as the sole original member. When the New Grass Revival dissolved in 1989, Bush joined Emmylou Harris' band, touring and recording with Harris for the next five years. He worked as a sideman with Lyle Lovett and Bela Fleck's Flecktones and formed his own band. In 2010, legislation passed in Kentucky that officially named Bowling Green the "Birthplace of Newgrass" and Sam Bush the "Father of Newgrass." The great blind guitar picker Doc Watson, has just died aged 89. I loved his work and saw him perform LIVE at Cambridge Folk Festival with his son Merle (who tragically was to die young in a tractor accident on the farm). There is a mass of Doc’s stuff on YouTube (including his very acceptable singing voice). But this is the clip that really GOT me. Here he is – at just over 75 years old – with the greatest mandolin player of all time, the much younger David Grisman. And more than holding his own. So it is “goodbye” to the great Earl Scruggs who has died at 88. There are clips from his younger years that show his mastery of the banjo much better than this one,but I choose this clip from a David Letterman Show because (a) it features a number synonymous with him, (b) it incorporates all that is great about the bluegrass ethos (the way that everybody – jazz band style - is allowed their “instrumental moment in the sun”), and (c) it shows that the film actor Steve Martin can almost hold his own with some really serious “big hitter” musicians! Doc Watson (1923-2012). Arthel Lane Watson died on May 29 in Winston-Salem, North Carolina. An eye infection had caused Doc Watson to lose his vision before his first birthday. In 1953 he joined a country and western swing band on electric guitar which rarely had a fiddle player, but was often asked to play at square dances. Watson taught himself to play fiddle tunes on electric guitar and later transferred the technique to acoustic guitar. Watson would eventually get his big breakthrough at the renowned Newport Folk Festival in 1963. His guitar playing skills and his authentic background made him a highly influential figure during the folk music revival. He apparently got the nickname "Doc" during a live radio broadcast when the announcer remarked that his given name Arthel was odd and he needed an easy nickname. A fan in the crowd shouted "Call him Doc!" presumably in reference to Sherlock Holmes's sidekick Doctor Watson. The name stuck ever since. Levon Helm (1940-2012). Arkansas born Mark Lavon Helm died at Memorial Sloan-Kettering Cancer Center in New York City on April 19th. After graduating from high school, Helm was invited to join The Hawks as a drummer, a popular bar and club act. By the mid 1960s, The Hawks became Bob Dylan's backing band, then referred to simply as "The Band." The Band also recorded their own album "Music from Big Pink," which catapulted them into stardom with Helm singing songs such as "The Weight" "The Night They Drove Old Dixie Down". Helm remained with The Band until their 1976 farewell performance, The Last Waltz, which was recorded in a famous documentary film by director Martin Scorsese. His 2007 comeback album "Dirt Farmer" earned him a Grammy Award for Best Traditional Folk Album. Barney McKenna (1939-2012). The Dubliners' last original member Barney McKenna passed away unexpectedly on 5 April 2012 in his home in Howth, Co. Dublin. Barney was a member of The Dubliners from 1962. Prior he had spent a few months in The Chieftains. He used GDAE tuning on a 19 fret tenor banjo, an octave below fiddle/mandolin and, according to musician Mick Moloney, was single-handedly responsible for making the GDAE tuned tenor banjo the standard banjo in Irish music. Barney's tendency to relate funny, and often only marginally believable, stories was legendary amongst Dubliners fans and friends. These anecdotes became known as Barneyisms. Earl Scruggs (1924-2012). Earl Eugene Scruggs died from natural causes on the morning of March 28, 2012, in a Nashville hospital. Scruggs was noted for perfecting and popularizing a syncopated, three-finger banjo-picking style (now called "Scruggs style") that is a defining characteristic of bluegrass music. Scruggs shot to prominence when he was hired in 1945 by Bill Monroe to fill the banjo slot in his group, the Blue Grass Boys. In 1948 Scruggs and guitarist Lester Flatt left Monroe's band and formed the Foggy Mountain Boys, also later known simply as Flatt and Scruggs. In 1969, they broke up, and he started a new band, the Earl Scruggs Revue, featuring several of his sons. Flatt and Scruggs won a Grammy Award in 1969 for Scruggs' instrumental "Foggy Mountain Breakdown". In 2002 Scruggs won a second Grammy award for the 2001 recording of "Foggy Mountain Breakdown", which featured artists such as Steve Martin on 2nd banjo solo. Scruggs was also awarded the Lifetime Achievement Award at the 50th Annual Grammy Awards. a National Heritage Fellowship, the National Medal of Arts, and received a star on the Hollywood Walk of Fame. Benjamín Escoriza (Colomera, Granada, 1953 – Valdemoro, Madrid, 2012). The rough voice of this peculiar cantaor grana’ino truly helped to shorten that invisible distance the keeps flamenco away from some Spanish folk music fans. He did it by creating the extraordinary band RADIO TARIFA (1992-2006), that started in Madrid as the meeting point for Benjamín and his colleagues Rafael Fain Sánchez-Dueñas and Vincent Molino. RADIO TARIFA developed very successful fusions between many kinds of traditional music : flamenco, Arabian, Sephardic, medieval, N-Spanish, Mediterranean, Japanese, Caribbean, French, German,… After the final split of the band, Benjamín recorded two solo albums: Alevanta (2006) and Mirando pal Este (2010). In 2012, he was planning a new project to be recorded in the island of Mallorca with Tony Pastor, the lute performer from the folk band MUSICA NOSTRA. A severe lungs illness has sadly prevented us from enjoying more of his creativity and openness to mix flamenco from other kinds of folk music. Bridie Gallagher (1924–2012). Bridie Gallagher was an Irish singer, known as "The Girl from Donegal," who was Ireland's first truly international pop star. Over a 50-year career she played everywhere from the Royal Albert Hall in London to Carnegie Hall in New York to ready-made audiences consisting of Irish imigrants. 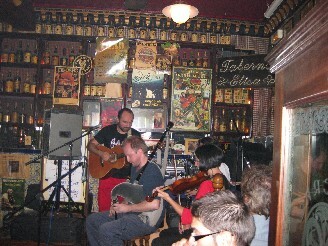 This Irish pub in oldtown Madrid (calle Santa María, 42), led by Santy BARRAL, continues its more than 20 years history in the front line of the live folk music scene in central Spain. "Once" by Irish playwright Enda Walsh is Broadway's 2012 Tony Award-winning best musical. 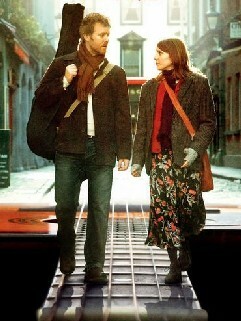 Based on John Carney’s Academy Award-winning film starring Glen Hansard and Markéta Irglová, it tells the story of an Irish musician and a Czech immigrant drawn together by their shared love of music. Over the course of one fateful week, their unexpected friendship and collaboration evolves into a powerful but complicated romance, heightened by the raw emotion of the songs they create together. Na Píobairí Uilleann (NPU), the Society of Uilleann Pipers, opened PipeCraft, the dedicated Pipe-Making Training Facility in Clonshaugh, Dublin, and launched the three-year full-time pipe-making course based there. PipeCraft is a dedicated training facility, equipped with all the machinery, tools and materials required for transmitting the skills required for the craft of Uilleann pipemaking. Sean Laffey (editor of Irish Music Magazine) and Stephen Power (author of 'Traditional Notes: A Celebration of irish Music and Musicians') welcome you to their agency specialising in folk and traditional music photography. This photography and Public Relations service is perfect for press and editorial publications, fleadh, festival, concert & music workshop organisers, music promoters & managers and record companies - plus up-and-coming as well as established musicians and bands in the folk and traditional music genres. 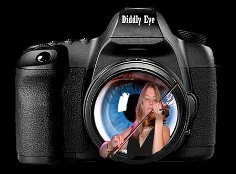 Diddly Eye can develop your full Electronic Press Kit from photo-shoot to online presence and provide the whole package whether you want flyers, brochures, photo-books, web galleries, posters or a CD sleeve. At an event held by the tourist organization VisitNordsjaelland on Feb. 21, 2012, composer and guitarist Finn Olafsson had the honour of being appointed Goodwill Ambassador for Monarchic North Sealand in Denmark. The appointment states that "The title as Goodwill Ambassador is a mark of honour which is awarded persons who have got unique qualifications and who are motivated to make a difference for Monarchic North Sealand - the Danish and foreign visitors' preferred haven of life quality and joy of living." Finn Olafsson's music is inspired by the nature, culture, and history of North Sealand and his latest album "Music From North Sealand" reflects the inspiration that comes from living in this area. FolkFreak is the new name for the project formerly known as Folk & Ethnic Music World. FolkFreak invites musicians, venues and festivals, instrument builders, resellers and teachers, the media and many more to present their work. The 14th Return to Camden Town Festival will take place between Friday 26th October and Sunday 4th November this year. As has been customary in recent years, the festival programme will be divided into two long weekends, with the first dedicated to music and song and the second to dance. Festival dates are Friday 26th – Sunday 28th October (music and song) and Friday 2nd– Sunday 4th November (dance) 2012. As always, the festival will be based at the London Irish Centre, 50-52 Camden Square, London NW1 9XB, with traditional music sessions taking place in local pubs and venues. Tom Paxton is still writing topical songs that really hit the target. This is one of his latest – and shortest – on Sarah Palin. An easy target, true. But dangerous targets like her need exposing, because if she ever gets in the White House then you’d better put on a tin hat! Some of my non-American friends might not know about the outrageous “Bridge To Nowhere” that Paxton refers to at the end there. This was an Alaskan bridge-building project that Palin enthusiastically supported. If however you prefer your Tom Paxton as a singer of his nonpareil love songs, try this clip. He never wrote a better song than "I Give You The Morning." Ask me the greatest song of the last few years and I have no hesitation. It is this masterpiece by the great Leon Rosselson. Here he is, performing his own song with real brio … despite the fact that he is nearly into his EIGHTIES now. (Born June 22, 1934.) What a giant: the musical conscience of the British nation. Mr Rosselson here uses the old “talking blues” format – accompanying himself superbly on guitar – but there is nothing “old” about the lyrics: a thoroughly up-to-date demolition-job on those thieves and chancers we call “MPs”. Simply, an absolute tour-de-force.